Free download - programs for Windows Registry Mechanic, FotoMix, FotoMorph, Zoom Player, Image Tools - BImageStudio, Arcade Sniper, SPlayer, Zelda Forever, PhotoInstrument, Super Luigi Free download! »» Free download Registry Mechanic! Registry Mechanic ::: a computer program used to repair the Windows registry. Registry Mechanic analyzes, detects and repairs the errors in the Windows registry. Registry Mechanic makes better the operation of the computer and the system more stable. FotoMix ::: a computer program used to edit photos. With FotoMix can change, manipulate and modify any picture. With FotoMix can remove or add funds in a photo. FotoMorph ::: a computer program used to create morphing effects with different pictures. FotoMorph using the morphing effect helps you create a transformation between different images. FotoMorph changed from one image to another as the first image would become the second image. 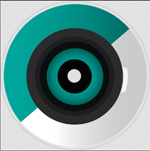 »» Free download Zoom Player! Zoom Player ::: a computer program used for playing video. Zoom Player is a video player that can play the most video files. Zoom Player is a widely used program for viewing movies. »» Free download Image Tools - BImageStudio! Image Tools - BImageStudio ::: a computer program used for editing digital images and photos. Image Tools allows the editing of one or multiple photos at once. Image Tools also enable the conversion of image files from one format to another. »» Free download Arcade Sniper! Arcade Sniper ::: free arcade game for PC. Arcade Sniper is a war game where you must defend the Earth from alien invasion. In Arcade Sniper the main objective is to destroy the most of the fleet of monster bees and its commander. SPlayer ::: a computer program used for watching movies and listening to music. SPlayer is one of the most used video and audio players. SPlayer can play most audio and video files. »» Free download Zelda Forever! Zelda Forever ::: a free arcade game for PC. Zelda Forever is a game where the main objective is to destroy rocks. Zelda Forever is a game with levels of varying difficulty, some simple others more complicated. PhotoInstrument ::: a computer program used to edit digital images. 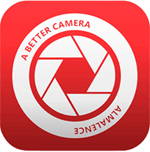 PhotoInstrument is very good for improving the quality of digital images. With PhotoInstrument you can remove red eye, rotate, apply color, clone, and so on. »» Free download Super Luigi! Super Luigi ::: free action game for the PC. In Super Luigi the main character is Luigi, the brother of the most famous Mario. In Super Luigi the main objective is to collect points and pass levels.